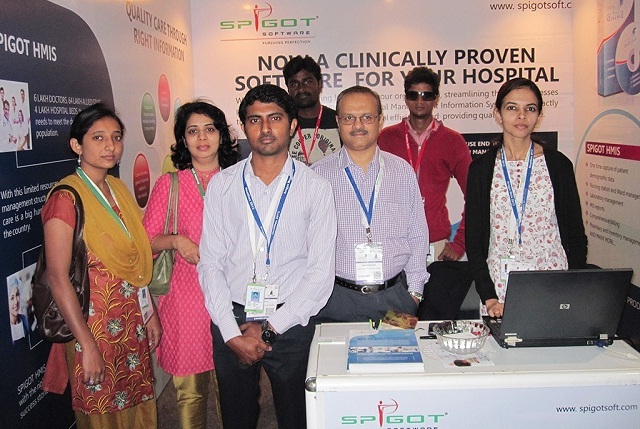 Spigot Software Pvt.Ltd Walk-In Drive Opening 2019 IT Recruiter Posts Download Application at www.spigotsoft.com Spigot Software Pvt.Ltd Career Job has Recently Announced 2019 regarding IT Recruiter & Various Job Openings Interested and Eligible Candidates can Download Application Through Official website. Spigot Software Direct Walk-in | IT Recruiter @ Bangalore on Feb 2019. The company started off with providing IT Services to a wide range of industry verticals such as Healthcare, IT, Engineering, Logistics and Pharma. Srinath has a unique penchant for abstraction and problem solving that he is reputed for. One of his strengths is his ability to notice clear patterns in the challenges and needs faced by clients. That has become the inspiration for several products from Spigot. Foremost among them are Ashwa and RajaHamsa, which are Hospital Information Systems targeted at different categories of healthcare centers. Based on web-technologies, these products are highly scalable and offer better ROI and economy of operations. Handling end-to-end recruitment in IT, Non IT, Lateral hiring and contract staffing. Screening the Candidate based upon the Educational qualification, Technical skills, Communication skill and experience. Sourcing the Candidates through Job Portal like Naukri, also through Reference and Network. Sarching resumes through internal databases, references and external entities like Boolean searches, Mass Mailing through job boards, Job Posting, LinkedIn.